CoolSculpting a double chin, providing definition to the neck. CoolSculpting a belly pooch, resulting in a slimmer and more toned stomach. CoolSculpting the stomach to reduce belly fat. CoolSculpting the lower abdomen, also known as a stomach pooch. CoolSculpting outer thigh ‘saddlebags’ for a slimmer appearance of the overall body, also making jeans and other clothes fit better. CoolSculpting the inner thighs, resulting in slimmer legs and a very pleasing and attractive overall appearance. CoolSculpting the male stomach to reduce belly fat, creating a better defined and more toned abdomen. CoolSculpting for the male flanks with residual skin tightening. 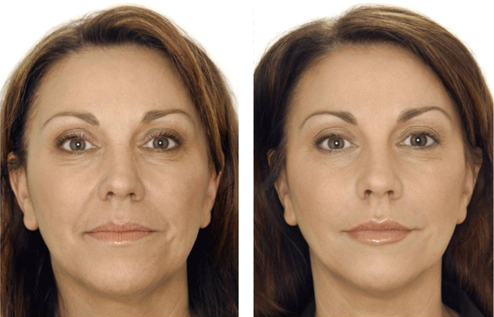 Botox was used to soften and eliminate wrinkles between the eyebrows. These lines are called glabellar frown lines, sometimes referred to as the ‘elevens’ (11’s). Botox was used to soften the lines and wrinkles around the corners of the eye, often referred to as the Crow’s Feet or lateral canthal lines. Deep forehead lines and wrinkles, sometimes referred to as ‘worry lines’ across the forehead were smoothed out using Botox. Botox was used to decrease the appearance of muscle bands and creases on the neck (platysma bands), creating a sharper profile. Botox was used to soften a dimpling chin (mentalis). 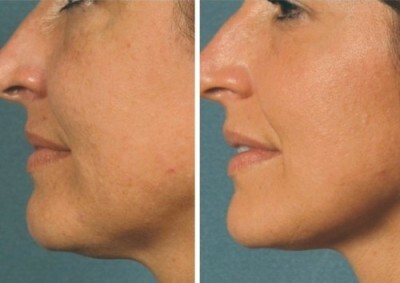 This treatment provides a smoother overall appearance and better definition. Botox was used to lift the outer corners of the mouth (DAO’s – Depressor Anguli Oris). Botox was used to smooth lines and wrinkles at the outer corners of the eyes (Crow’s Feet). 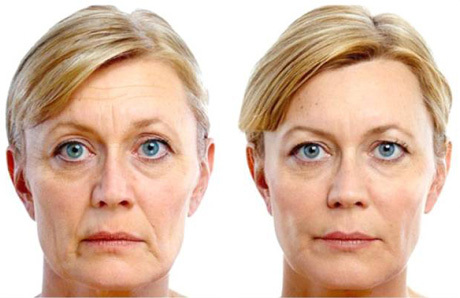 Botox was used to soften glabellar ‘frown lines’ between the eyebrows, giving a upward lift to the upper face. Botox was also used to lift the corners of the mouth (DAO’s). Juvederm was added to the deep nasolabial folds and marionette lines around the mouth to give the face a softer and more youthful appearance. Botox was used to smooth glabella ‘frown lines’ between the eyebrows (‘11’s’), forehead lines and Crow’s Feet around the eyes. 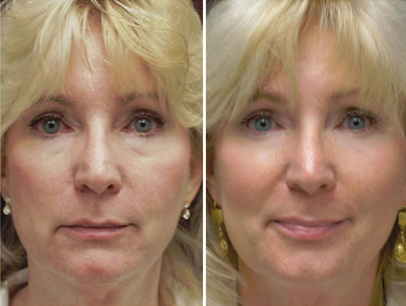 Restylane was added correct under eye hollowing and smooth the deep nasoliabial folds around the mouth. Botox was used to eliminate Crow’s feet lines and wrinkles around the eyes. 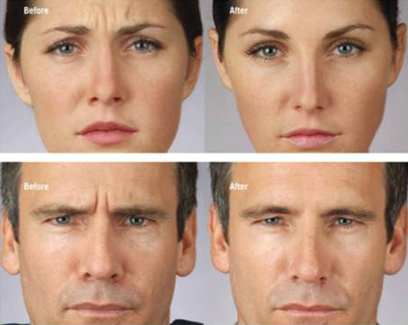 Botox was used to soften the glabellar frown lines and lift the eyebrows. 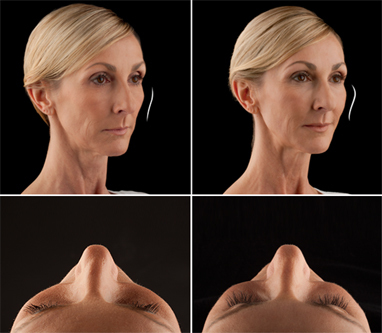 Restylane was added to fill and smooth the nasolabial folds and marionette lines around the mouth and chin. Radiesse was used to enhance the cheeks, increasing the patient’s mid-face volume and providing feminine contouring and definition. Juvederm was used to define the border of the lips and enhance the ‘Cupid’s bow’. Volume was added to the small upper and lower lips, enhancing overall fullness and providing a natural, plump appearance. Restylane was used to add volume to the upper and lower lips. Definition was given to the border of the lips, providing a plumper appearance and enhancing overall fullness. 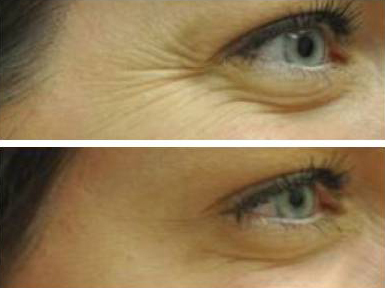 Sculptra was used over multiple treatment sessions to achieve overall fullness and facial balance. 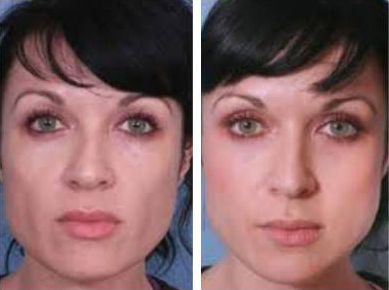 Sculptra was added to the cheeks, under eye area, temples, jawline, chin and nasolabial folds. 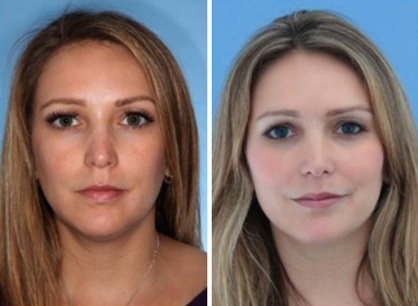 Over multiple treatment sessions, Sculptra was used to treat the entire face to achieve an increase in overall fullness, literally taking years off this patient’s appearance. Sculptra was used in the temples, cheeks, under eye area, lower face, nasolabial folds, marionette lines, jawline and the chin. Botox was used to soften forehead lines, lines between the eyebrows (glabellar lines) and Crow’s feet around the eyes, Botox was also used to give the eyebrows a subtle lift, as well as the corners of the mouth (DAO’s). 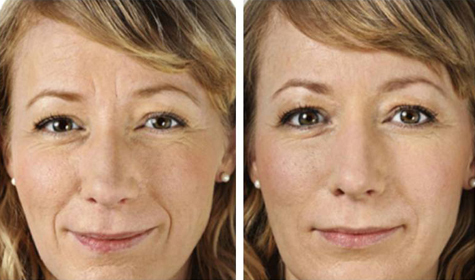 Juvederm was added to fill and correct deep nasolabial folds and marionette lines around the mouth. Juvederm was used to add definition and fullness to the upper and lower lips. 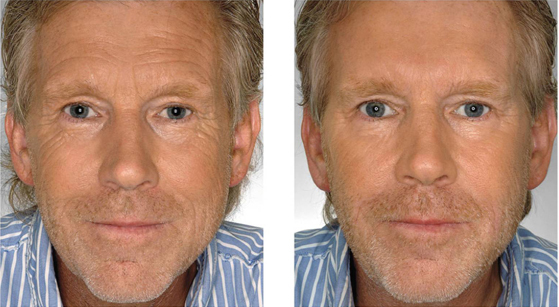 Restylane was used to treat hollow undereyes (tear troughs). Botox used to smooth forehead lines, frown lines between the eyebrows, Crow’s feet around the eyes, lift the eyebrows and lift the corners of the mouth (DAO’s). Radiesse was added to enhance the cheeks and lift the lower face. 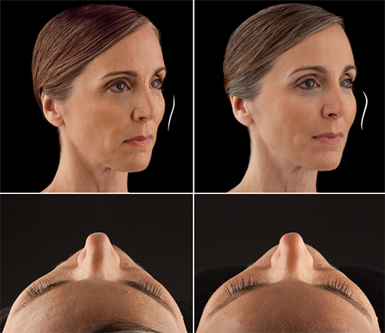 Juvederm was used to soften deep nasolabial folds and marionette lines around the mouth and chin. Restylane was used to define and add volume to the upper and lower lips. Sculptra was used to add volume and definition to the temples, jawline, chin and pre-jowl depressions. 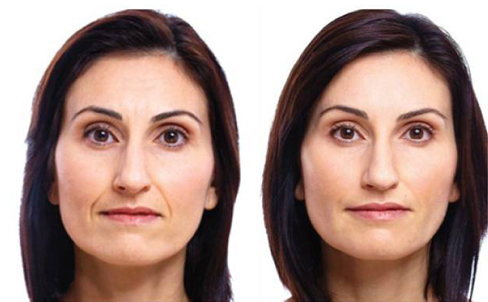 Juvederm Voluma XC was used to increase mid-face volume, contour the cheeks and lift the lower face. VI Peels were used to improve the overall quality, tone, texture, and clarity of the skin. 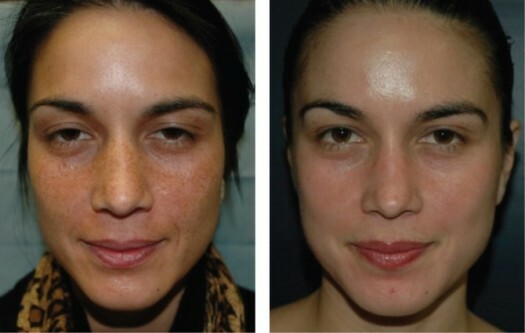 The before and after photo shows noted improvement in the reduction of age spots, sun spots, uneven pores, uneven tone, uneven texture, freckles and hyper-pigmentation. The VI Peel is a medical grade chemical peel. VI Peels were used to clear the patient’s acne, reduce acne scarring and give an overall smooth, radiant and youthful glow. VI Peels were used to tighten the skin, eliminate age spots, soften lines and wrinkles and improve overall texture and tone of the skin.